Granite shops waiting for their sales to catch fire can get some expert help in igniting customer interest with FireUps internet marketing services. Paul Gallagher, owner of FireUps, has been guiding granite businesses in the development of high-return internet marketing strategies since 2009. “What I do is get them started with going directly after the consumer with a pay per click advertising budget and construct a website for them, or use one of my existing brands,” he said. Gallagher now represents about 25 clients all over the U.S. Many of their referrals are generated through his corporate website, granitemakeover.com, which provides customized information about each of his clients in their own local markets. “Based on the local IP address of the visitor to the website, the content of that website is changed to represent them in the local area,” he said. This is just the beginning, though. 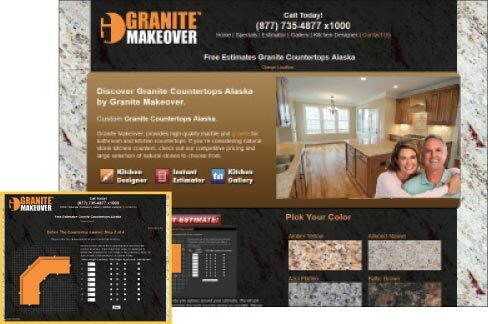 Gallagher’s efforts don’t stop with giving clients access to customers through granitemakeover.com. One of the best examples of the benefits of a thorough internet marketing campaign is the client that led Gallagher to discover he could fill service needs for the granite industry, which has been the basis of his business since. The owner of a shop in New Hampshire approached Gallagher for help with building a website and then marketing his services on the internet. The business had great potential not yet being capitalized upon. “He was on a major road, 26,000 people a day drove by his showroom, and he was doing two sales a week,” Gallagher said. For more information on FireUps, call 877-877-1916 or visit the websites www.fireups.com andwww.granitemakeover.com.